Ominous. That's what it is. victory will come at a cost! setting the stage for the future! They would not kill members of the Prime Team, would they? No, no, no! They would not do that. I can't rule it out. About the only reassurance I can give is that Ramis died in 2014, and the comics are set at this point about fifteen years or so before that. And they killed him once before but brought him back; that would kind of cheapen killing him again. 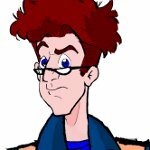 But killing off IDW Egon for real this time, even though I've given up on him becoming as interesting as his RGB/EGB counterpart to a great degree, would be a really quick way to get me to drop this series at last. There is NO freakin' telling what craziness is in store. Probably just mean the portal device is gonna explode and no one will remember it existed. Just to let y'all know... The B cover for #6 has the teams divided out and EGB Egon, prime Janine, Patty, Ron and Garrett are shown teamed up together. I really do think the cover artists, particularly Tim Lattie, are trolling us some times. Guys, I feel so baited! I have spent all day yesterday on this series. I told myself I was walking away! What am I doing?! I feel like I'm being a glutton for punishment here. My brain has taken all of this, rearranged it into a beautiful E/J story. But I KNOW that this is not where this is going! It's driving me crazy. I'm chasing the Easter Bunny over here! To me it was a bit… anticlimactic. A little pre-battle banter with the goddess of chaos, then a magic bomb and a special trap. Tiamat down. And I did not quite get how Tiamat cursed the ghostbusters. Did her curse cause the containment unit to need one more ghost even though all the missing ghosts were back? Did the curse just randomly hit Ray and Jenny? Or are the other ghostbusters cursed, too and they will be effected later? And why did they leave the trap with Tiamat there??? Any trespassing demon, ghost or other traveler could find it and accidentally or on purpose free her! 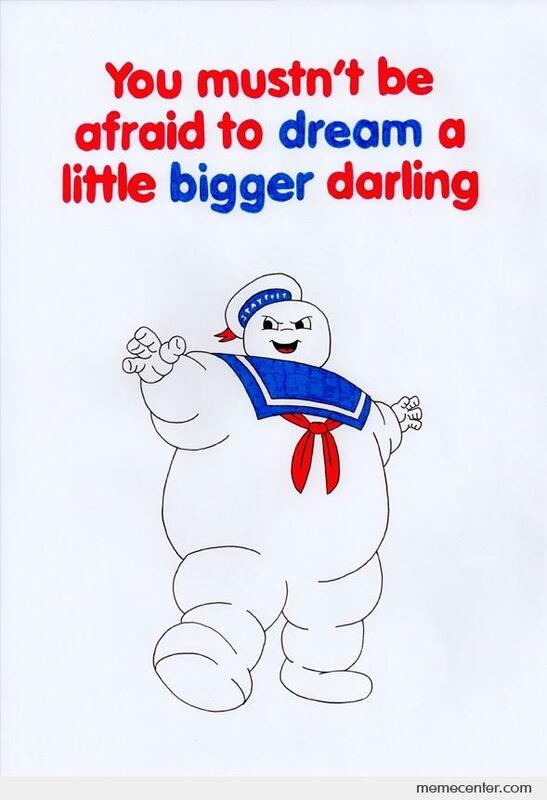 This is the second god the ghostbusters left in outer space unguarded! What are they thinking? And it is always Winston who does that! I hope this means at least that we got rid of Jenny for a while. That permanent-ghost-resident-in-the-firehouse-thing had way too many slimer vibes for me. I thought this issue was pretty exciting. I feel like there's a lot to unpack, so these are my thoughts. First, poor Ray. Jeez. Talk about a punch in the gut. There were about seven slimers hanging around the firehouse, but Jenny had to be the sacrifice. I've always thought that there should be some means in which to extract individual ghosts from the ECU. Still, I'm sure Egon and Ray could come up with some way of drawing Jenny out and replacing her with something else. Poor girl's been through a lot, though. I wouldn't blame her if she'd want to forget about ghostbusting completely once all is said and done. Good for Winston to be the one to trap Tiamat, although I share Sandra's concerns about leaving the trap behind on her own dimension. ...and Sony/IDW have cursed Egon and Janine to never have an on-panel conversation ever again, it looks like. So I was totally deluding myself about the E/J stuff. No surprise, really. I kinda think a few lines of funny dialogue together and a little bit of closeness would have done more to demonstrate things than some other random characters helpfully 'reminding' us that of course they really, really like each other, duh! After nearly 35 years of shipping them I'd really like to have seen it for myself sometimes, y'know. But looking at the way it's played out so far, I think it's unlikely anything is going to happen on that score for some time at least, and I share everyone's frustration about that. It's approaching the 35th Anniversary and the other guys have had their relationship moments played out in the spotlight, whereas Egon and Janine are stuck in their own little worlds, only seeming to care when one of them (mainly Egon) is in a life-threatening situation. Well, I'm not sure about Egon at the moment. He's brushed off death about a billion times like it's no big deal, without a thought of the gris-gris which is supposed to help him 'be alive'. The gris-gris is gathering dust somewhere, and who knows if it'll ever be used. It was interesting that there was a brief callback to Egon's 'computer programming' experiment that he carried out, but he just doesn't seem to have much depth to him and at times I forgot he was there. Holtzmann carried her guilt at what she'd done through almost the entire Crossing Over series, but we've yet to see Egon have much of an emotional reaction to his various brushes with death. I was kind of hoping, when he was face-to-face with Death that we might see some real depth to his character, but he seemed as detached as normal about it. Eduardo seemed more disturbed about it. Full disclosure here -- someone I know, whose character is not too dissimilar to Egon's, had a brush with death at the end of last year. He's gone from someone who was fairly unemotional, to someone who has broken down and cried at TV shows and stuff. He's gone from someone who was very independent to someone who needs assistance, and asks for help. He's gone from someone who didn't exactly show much appreciation for his loved ones, to someone who regularly shows they care. He also has regular flashbacks from almost dying. Now, I know this is a comic and not Real Life, but as a small example of what can happen to someone in that circumstance, Egon's got a long way to go to even touch the surface of it. Oh, and the portal is still functional, so despite EVERYTHING that's happened, they're still gonna do some dimensional travelling again. Yikes. I'm intrigued as to what IDW are going to do for the 35th Anniversary. I think we were ALL deluding ourselves about E/J, but seeing Tiamat get hers was cathartic. Even though Ray paid for it the hard way. By that logic, if they're all cursed, then Egon and Janine have to deeply suppress their emotions to avert it. Ugh. I feel more sorry for Jenny than Ray, TBH. She's unfortunately paid the price more than he has. Apparently RGB have already extracted ghosts from their Unit, so it's not beyond the Prime tech to do it. They should be working on that as a number one priority, and if not then Jenny should dump them all and move on with her ghostly life. Peter seems to have sidestepped most of the drama so far, so I'm curious as to what they've got planned for him. Maybe nothing, I don't know. But it does feel as if Ray and Winston have had the lion's share of the impactful storylines so far. I don't think Egon has much emotion that he can suppress. He currently seems to have the emotional range of a peanut. If I keep getting disappointed by this comic, I'm gonna end up as I'll and cranky as the Janine they write! I wasn't happy with this one. Wow. And yes, I feel like hey didn't really wrap up a lot of things. It's odd, and worse yet, with their track record, they won't ever tie them up! It will just disappear. Along with all of your points, I'm surprised Rachel appeared, a relative of Tiamat, just to give them an orb and not show up at the end! SMH, I'm confused. And I also feel like I just saw Janine officially sign away her life to her job. At this point she's making money to sock away for a nice nursing home, since she'll have no kids to move in with... How depressing.